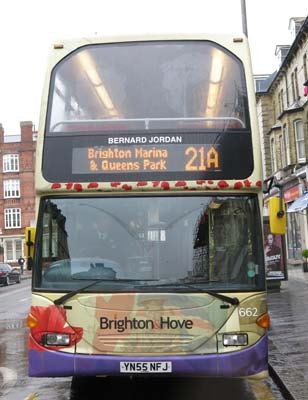 Connections with Brighton and Hove : For many years Bernie Jordan was a leading Conservative politician in Hove but that is not why he shot to national fame in 2014. 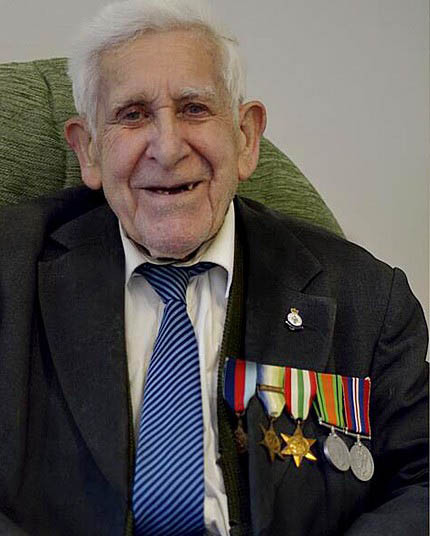 As a war veteran, Jordan, then nearing 90, wanted to attend the 70th anniversary of the D-Day landings in Normandy, France. 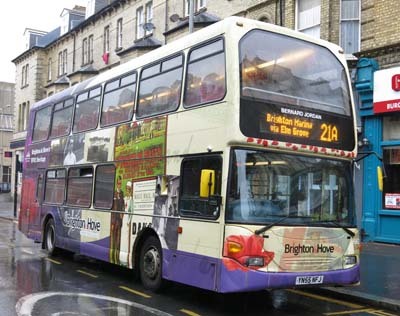 Following a misunderstanding with the nursing home in Hove where he lived, he was unable to go. Undaunted, Jordan made his own way to France and his dream came true. He met other people attending the commemorations who admired his pluck. Jordan, an electrician, chaired the housing committee for Hove Council, and a block of flats at Ingram Crescent was named after him. He was also leader of the council and became Mayor with his wife Irene as Mayoress. Much to the surprise of his colleagues, Jordan switched parties when Tony Blair became Prime Minister and joined Labour. Jordan, a convivial man, thoroughly enjoyed his late celebrity and plaudits such as being made an honorary alderman of Brighton and Hove City Council. Both he and his wife died within a few days of each other. There was a congregation of several hundred people at the funeral service in St Michael and All Angels Church in Brighton. The couple left more than £500,000 in their wills to the Royal National Lifeboat Institution. They had been married for 59 years. 662 Scania Omnidekka - carried name from May 2015, in World War 1 livery. Name changed to Edward 'Mick' Mannock from July 2018.